Great journalism often requires years of source building and painstaking research. For informed people, verified reporting and data delivered at lightning speeds are the most important commodities out there — now, more than ever before. As a reader of The Real Deal, you know that better than anyone else. 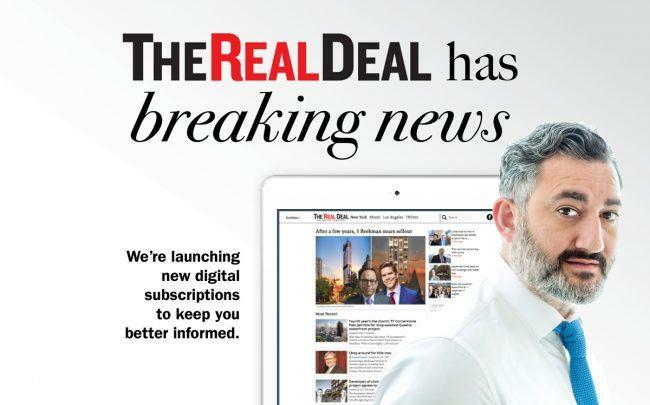 For the past 15 years — beginning in New York and expanding to Miami, L.A. and recently Chicago — we have published the independent, in-depth and award-winning reporting and analysis that millions of real estate, finance and legal professionals, among others, rely on in print and daily on the web at TheRealDeal.com. We are committed to providing quality reporting to our readers and trust that you will continue to support us.